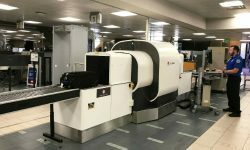 A new report by the Department of Homeland Security reveals that TSA screeners, its equipment or its procedures failed more than half of the time. Washington D.C. — The Department of Homeland Security has uncovered disturbing failures by the TSA during a recent undercover inspection, according to a source familiar with the classified report. Inspectors “identified vulnerabilities with TSA’s screener performance, screening equipment, and associated procedures,” according to a statement from the Department of Homeland Security. Eight undisclosed recommendations have been made to TSA to improve checkpoint security. The source says the Inspector General did not use security experts, but secretaries and administrative workers instead. They were then able to sneak “high-tech contraband” through. Those details have not been revealed, however they were likely components for bombs, guns or other weapons. 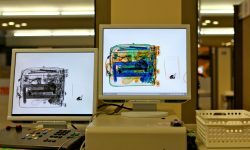 In a public hearing yesterday on Capitol Hill, members pushed for the full implementation of new scanner equipment that creates a 3D image of bags that would give screeners better ability to spot threatening items. The equipment is said to be ready and is being tested in TSA checkpoints in at least two airports, however software and installation challenges have slowed wider implementation. Rep. Bill Keating also noted that specially trained Homeland Security teams that use canines to secure transportation facilities known as “Viper teams,” are being cut from 31 to eight. The TSA has received scrutiny throughout the year. On President’s Day, nearly a dozen people walked through an unscreened security checkpoint lane at John F. Kennedy Int’l Airport. 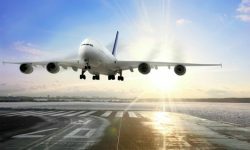 During the summer, the Minneapolis-St. Paul International Airport (MSP) failed 95% of undercover airport security tests conducted just prior to the heavily traveled Fourth of July weekend.